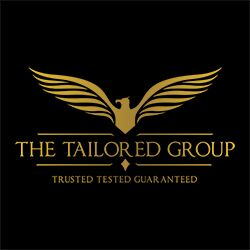 Sales and Marketing expert, The Tailored Group, is active in utilising the insights and knowledge of hugely successful entrepreneurs to inspire its workforce. "When you have something that you know is true, even over the long term, you can afford to put a lot of energy into it,"
It is hopeful that each of its professionals feels that their time in the sales industry is “true”, and want to place their energy into their time in the industry. Specifically, with the Christmas rush occurring in December, the firm is keen that its workforce is putting 100% of their energy into creating sales opportunities. They want each contractor to arrive at work with a positive, optimistic mindset and utilize every moment in the field to their advantage. To facilitate this mindset, the firm will be arranging some workshops for contractors to work on the basics of the sales pitch but also key tips on how they can utilize the Christmas period to maximize their earnings and potentially begin their own business ventures. While sales remain at the forefront of The Tailored Group's business, the firm is also keen to create opportunities for its workforce to develop and grow their own business ventures and is hopeful that everyone within the company takes the advice of Jeff Bezos extremely seriously. Further to this, The Tailored Group also wants its workforce to understand that the beginnings of a business can be tough and that they should take a note of Jeff Bezos’ commitment to his brand when he first started Amazon. In a recent interview, he disclosed that at the beginning he was working 12-hour days seven days a week to ensure he provided the services his customers were looking for. The Tailored Group is keen for its workforce to take this advice with a grain of salt and believe that with a good amount of pre-thinking, organization and strategic recruitment those looking to start their own sales firms will be able to cut down the working hours while maximizing their profits. Most importantly, however, the company wants its workforce to understand that once they begin their entrepreneurial path, they will have to commit a significant amount of their time and energy to their brand.